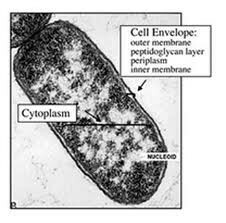 The envelope is an essential structure of the bacterial cell, and maintaining its integrity is a essential for survival. The cell envelope may be defined as the cell membrane and cell wall plus an outer membrane if one is present. What is in the cell envelope? The cell envelope is a complex multilayered structure that serves to protect these organisms from their unpredictable and often hostile environment. The cell envelopes of most bacteria fall into one of two major groups. Gram-negative bacteria are surrounded by a thin cell wall. Gram-positive bacteria lack an outer membrane. What is the cell envelope made out of?